TerraCycle processes a wide range of hard to recycle waste streams that are then sold to major manufacturers. TerraCycle focuses on the science and managing the supply chain, and all manufacturing and logistics are outsourced to third party vendors. This approach allows TerraCycle to process millions of pounds of material per month while staying agile and not committed to major capital expenditures. TerraCycle has a Zero Waste Box for virtually every type of non-recyclable waste. Each box type is used to collect a specific waste stream and is paid for by the collecting party (whether an office, laboratory or even individual). You can choose the waste stream you’d like to recycle, from industrial adhesive packaging and personal protective equipment to coffee capsules and sports equipment. 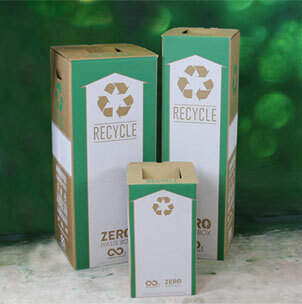 Zero Waste Boxes can be ordered on our website and through a wide array of resellers.